The Sheep Whisperer: "Romney" Believe it or Not! Sheep are literally, a lot like people. They come in a variety of shapes & sizes, yet they are each distinctively woven into the very fabric of their own family breed. The breed that we're zooming in on in this blog is the Romney breed. 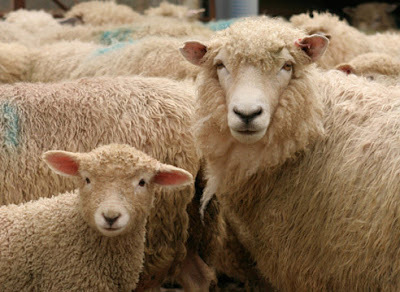 I bet Ewe thought that Ewe were through with Romney after the last election. Well, this is a different breed of Romney, the one that says "Baa"! I have an Identity Crisis! Am I "Romney Marsh", "Kent", or just "Romney"? 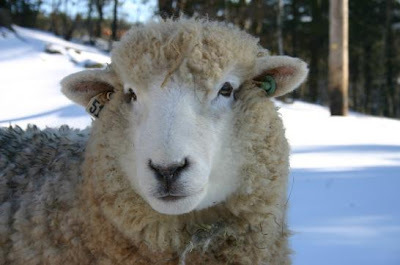 I didn't run for President, but don't Ewe think I'm just as handsome? I kind of wish we weren't that popular. Why can't people just eat Beef?. I'm popular in New Zealand & hoping to stay away from the "Dinner" plate. The Romney breed do so well in England & New Zealand due to their amazing versatility. Webster defines versatility as: "ability to turn easily ; competence in many things".The Romney breed are the epitome of versatility, due largely to their unique ability to ward off "foot rot" & "liver fluke". Romney sheep are healthy, allowing them to produce & maintain a heavy fleece throughout the winter. 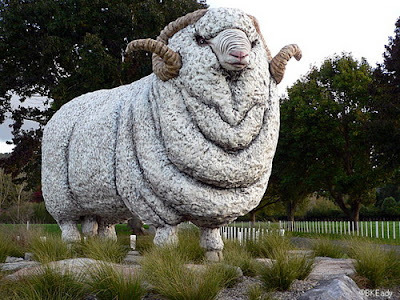 Being Wooly is something that just "Grows On EWE"! Did Ewe know that my durable, long wool is "prized" among hand weavers? 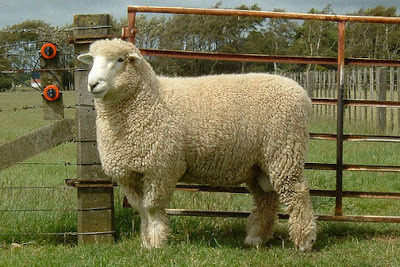 The Romney breed's versatility is also seen in its ability to adapt to its harsh environment, yet still produce a quality wool & meat.They are named for the Romney Marsh region in Kent, England. It was in that difficult region that they developed their strong resistance to the elements. 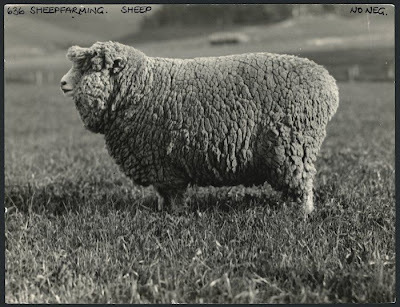 The Romney sheep first came to the U.S. in 1904. 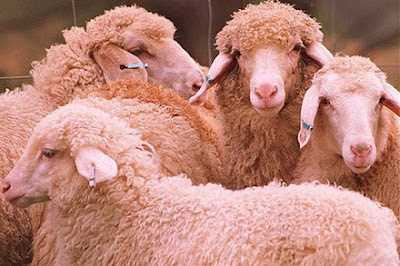 Their strong wool is sought after for carpets & rugs. Let me introduce Ewe to the "HARDY BOYS"! 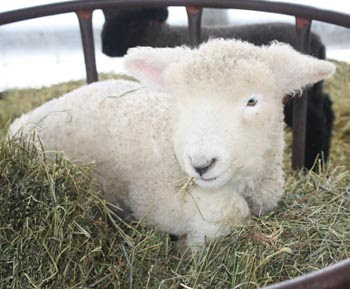 Sheep come in all varieties, sizes, & shapes, & each breed makes its own unique contribution. The Shepherd is able to bring out the best in every breed. 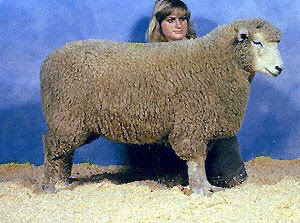 Romney sheep are revered for their fine quality wool & meat. They are an excellent example of how adversity can produce fruit that benefits the lives of others. I shop in the "Big & Tall " Department! Ewe are a unique creation! Celebrate that uniqueness, as Ewe pursue the purposes the Good Shepherd has for Ewer day.